The red lips belong to Magenta played by Patricia Quinn. Perhaps the most quotable film ever? Certainly the most interactive with its audience. 1958. A Saul Bass famous design. 1927. Designer Heinz Schulz-Neudamm’s masterpiece is a worth a million. The original poster is the upturned helmet designed by Bill Gold. Oliver Stone apparently maximized the Willem Defoe martyrdom shot into a new poster. It was a brush stroke of genius. I have a fondness for Hildebrandt Brothers’ illustrations. Maybe you missed my post devoted to their artwork? It’s right here: Hildebrandt Brothers. I loved this Spanish, Alice in Wonderland adaptation and how it functioned as a social allegory. How creepy is that entrance? According to IMDb, Jeff Bridges was considered for the role of Travis Bickle. Could he have acted the part as well as Robert DeNiro? Thanks to my friend ALEX RAPHAEL who got me thinking yesterday about movie posters. If you could own one, original movie poster, which would it be? Thanks for the mention 🙂 Great choices Cindy. I’m really glad to see the Taxi Driver and Metropolis ones in there. I think I might do a Gr8at on the idea at some point too. You’ll probably recognise a few from here as you have great taste. 😉 It was hard to leave out all the great 30s and 50s monster movie flicks. Can imagine. I do have a soft spot for ET and Jaws though. I really wanted to put Jaws in and Rosemary’s Baby. And Alien. Probably wouldn’t help you sleep mind! Oh, so which one film poster do you wish you had the original hanging on the wall? I was wondering this. MNy first thought (cynically) was the metropolis as it’s great and would be worth a fortune. Pan’s Labarynth would be lovely. I’d also commission some cool ones for The Third Man. Alex, speaking of good taste, The Third Man would be wonderful framed on a wall. Some beautiful posters! Thanks for sharing them with us. Oh, I sure wanted to put it in. I tried not to pick all the usual ones like Gone with the Wind with hopes that readers might call me out — and you did. Great call. Like some others, I would have to go with Metropolis and Pan’s Labyrinth. They are not only two of my favourite posters, but also two of my favourite films. 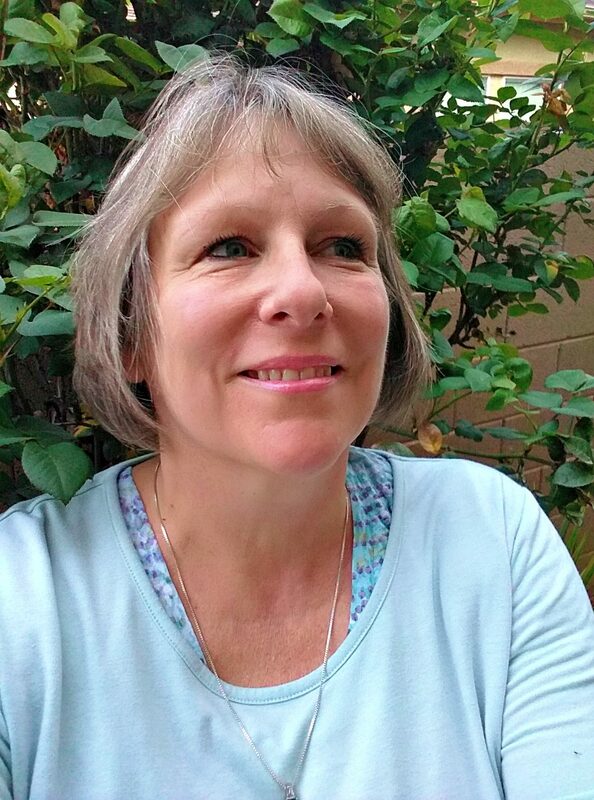 Good selection Cindy! Hi Pete! Hard to resist Metropolis. Glad you like PL, too. Thanks for commenting. Pan’s Labyrinth is one of my favourite modern films. The aftermath of the Spanish Civil War, some fantasy, and wonderful performances by all of the cast. It is virtually flawless. But then, European cinema is undoubtedly the best. Bar none. I agree it is flawless. Horrific. Beautiful. Tender. Heartless. The Vertigo poster is one of my favourites. It’s just a classic. The fact that it actually gives you the impression of dizziness and falling is a stroke of brilliance. Hi Paul, I looked on eBay, and Vertigo, one sheet, great condition is going for $7,500 dollars. I love the artistry of Saul Bass. He deserves a tribute of his own. Some great posters, here. That Star Wars one is so iconic. Really all of these are. I don’t own any movie posters myself, but one of my faves is from the ’83 version of Scarface. The poster for Raging Bull showing a close-up of a bloodied up DeNiro is another. Wendell, yes, I was contemplating including The Deer Hunter but I like the version of Raging Bull you mention. The only poster I own framed on a wall is a duplicate. If I had disposable cash, however, I would love to purchase something original. Who the hell has disposable cash? I sure don’t. Thanks for the link! Spectacular. I’d love to have a West Side Story poster. Maybe even that one at the bottom specifically. Just iconic. Hi Tom, thanks for visiting and commenting. West Side Story is so dear to my heart. I must have played the album and seen the film 100 times. I love the red and the black escape stairs, which Maria and Tony could fall in love but not flee from their loved ones. Oh, the irony. Heartbreaking irony. Such greatness. I haven’t actually seen the film in so long but I always remember it being a highlight of my high school years. Great old posters, Cindy – you’ve done it again. Oh, thanks, GP. Happy Fourth! God-DAMN that Metropolis poster looks cool!!! If I could own one poster it’d be the old school, animated 2001 poster. I wonder if its on ebay…. Considering Kubrick’s reputation, I bet it would bring in a nifty sum. Lots of great picks here Cindy. That Metropolis poster is so timeless… it looks kinda eerie which I think makes it all the more memorable. That Pan’s Labyrinth one is also eerily-beautiful. It’s creepy and dark, but there’s a lot of depth and it’s absolutely a great film to see, if you haven’t seen it. Yep I have seen it. An framable art form to be sure. Love the early hand painted Western posters of William S. Hart and others. I could post a couple of dozen here easy. You should! I’d love to see your favorites, JC. Great post. I love most of these already. The 60s designs are a favourite. The best one there… The Searchers! The big rosy sunset, the wilderness, the quest–John Ford did such a great job with the cinematography and cemented John Wayne’s career as a Western icon, yes? For me, the poster symbolizes an entire genre. Spot on. I’d love a poster of that famous camera shot at the end… in the doorway (spoiler free). Next fav would be odd blocky asymmetry of Vertigo. This is an area of interest to me, Cindy, that touches an emotional memory from a long time ago. One of my first jobs as a teenager was working in a movie theater. And instead of manning the popcorn machine, I would stand idly in front of each week’s newest posters. I adored that job. And I loved walking down memory lane with you here. I think I still have a few old posters in the basement somewhere. Now I’m itching to discover which ones I snagged. I had that Star Wars poster on a t-shirt. I wore it to death until it eventually disintegrated. I miss that t-shirt. LOL. Maybe Mr. O will buy you a new one for your birthday. I am going to suggest it! These posters are so great! Love them! Hi there! They are my personal favorites. What are some of yours?? 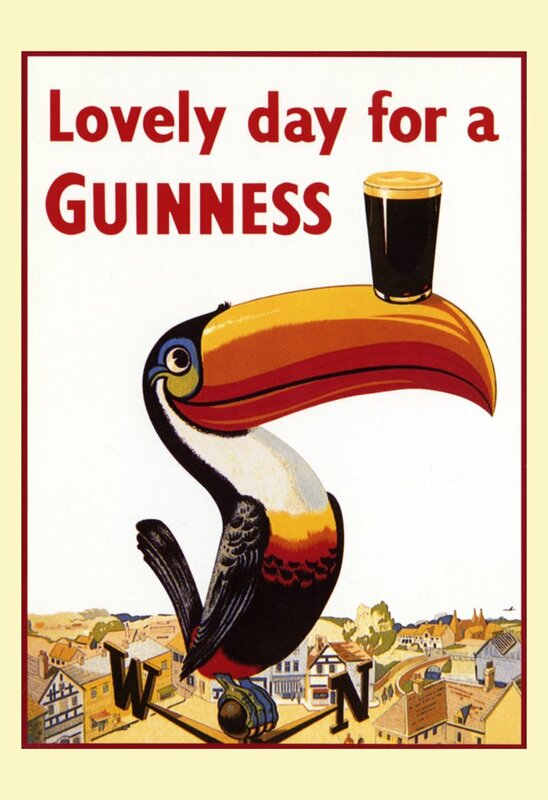 I love all of those you posted + vintage travel posters are so beautiful, too. There’s something about the style… The design was so careful and often just some small elements made a huge impact. Out of movie posters, I like The Endless Summer’s poster a lot, too! I’d love an original of that, too! Yes. The whole movie is about what the color red represents, I believe. A lost art form! 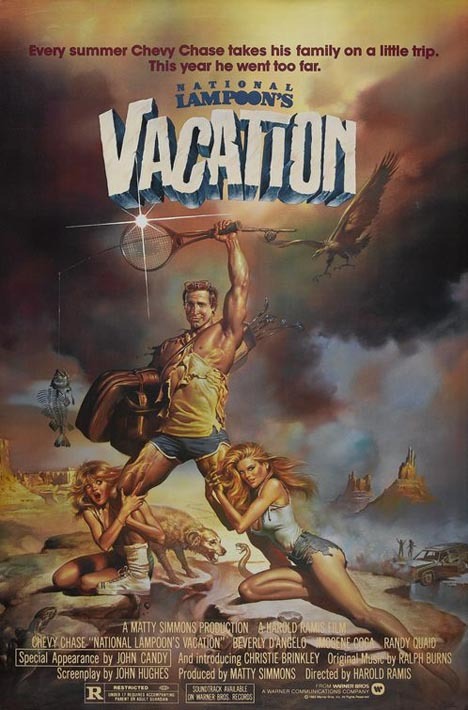 I’ve always found the Vacation poster clever ( http://www.traileraddict.com/content/warner-bros-pictures/vacation.jpg ). And I love Chinatown’s ( http://img.4plebs.org/boards/hr/image/1391/20/1391204264973.jpg ) and 1900’s ( http://img.4plebs.org/boards/hr/image/1391/20/1391204039091.jpg ). The walls in my office are covered with movie posters and you featured 3 of them. Great choices! Let me guess, Mark: Metropolis, Vertigo, and West Side Story…. Bingo! Good job. I love the classics. Always liked THE WESTSIDE STORY poster. Just right for the subject! Thanks, Kate. Its bold and passionate. Just like the film. Wow!!! I love the posters, and the movies!!! that I’ve seen (i haven’t watched 2 films here – Star Wars & Pan’s Labyrinth). No, I was thinking from the Posters on your list, here. But, if I were to go for an Audrey Hepburn film poster, I’d say My Fair Lady. Great post Cindy, some brilliant posters! I’m a big fan of the Silence of Lambs poster, so much detail in that one. Love Vertigo’s poster as well. I love the eyes and moth in her mouth. Yes, a fine one. As I was compiling the list, I tried to pick my favs (I have too many) that combined classics, happy and dark films. Anyway, thanks for commenting! I do a series on deconstructing movie posters. This is a great post! Love your work. Ta, mate! Where you from? I’m an American but I live in South Korea. Oh sure, I’ve been there a few times. Beautiful place. New York. But not the city. ha. I’ve nominated you for the 3 Days 3 Quotes challenge. Hope you’ll take part in it.